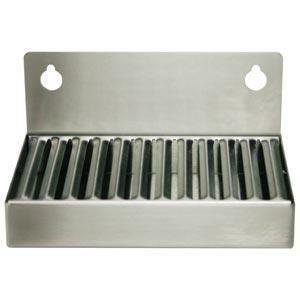 5'' wide x 6'' long x 1'' drain pan depth. Wall Mount Drip Trey. 100% stainless construction with removable grid for easy cleaning.